State gaming regulators gave preliminary approval Thursday to a marketing agreement between Golden Gaming and Gibraltar-based 888 Holdings in which the tavern operator could deliver its customers as online poker players to a website that includes Treasure Island. Under terms of the exclusive marketing agreement, Golden Gaming can sign up customers from its three Pahrump casinos and its 40 wholly owned statewide taverns operations to play online poker on a planned website that will be operated by 888 Holdings, parent company to 888poker. Golden Gaming would share in a percentage of the gaming revenues with Treasure Island and 888 Holdings. “It’s unique and allows Golden Gaming to market 888’s platform to its customers,” Golden Gaming attorney Michael Alonso told the Gaming Control Board. Alonso said Golden Gaming does not have any role in the operation of the website, and is only a marketing vehicle to deliver players. He told regulators the agreement is a way for 888 Holdings to expand its online gaming operation into the locals market and Pahrump. The customer base for Treasure Island, which is owned by Phil Rufin, is the Strip. Golden Gaming is expected to market the 888 website through various inter­active programs and other means. Nevada GCB Investigation of Cantor Gaming Stuck in Mud? The case against Michael Colbert, for his alleged role in internet sports betting malfeasance, has brought the Nevada heat on his former employer. A state investigation of sports book operator Cantor Gaming, launched after a company official was indicted for his alleged involvement in an illegal bookmaking and money laundering operation, has gone radio silent. That doesn’t mean the matter has been swept away — not by any stretch. Sources confirmed last week the Gaming Control Board’s inquiry into Cantor is moving forward, albeit at a slow pace. Agents are trying to determine to what extent Mike Colbert, Cantor’s former sports book director, had with the betting operation, which was associated with offshore Internet wagering sites. Investigators also are trying to determine if any of the illegal bookmaking allegations can be linked to Cantor. The state-licensed sports book operator was not a target of prosecutors, nor was the company even mentioned in the New York-based indictment. After the inquiry opened, Cantor instituted damage control measures. The company distanced itself from Colbert, immediately severing ties with the oddsmaker. Cantor went about its business. The company operates eight Las Vegas race and sports books — The Venetian, Palazzo, M Resort, The Cosmopolitan of Las Vegas, Tropicana, Silverton, Hard Rock and Palms — poker rooms, and manages a line of mobile gambling products. However, Colbert has suddenly resurfaced. Cantor officials can’t be too happy about this turn of events. Colbert, 33, was the most prominent name among the 25 individuals indicted in October by New York authorities on allegations of ties to the illegal betting ring. Law enforcement alleged the operation yielded payouts of $50 million over an 18-month period. State gaming regulators are looking into the relationship between 2-week-old Internet poker website Ultimate Poker and an unlicensed service provider used to identify new players. In an email, Gaming Control Board Chairman A.G. Burnett said gaming agents are working with officials from Ultimate, which is majority owned by Station Casinos. Over the weekend, Ultimate Gaming, parent of Ultimate Poker, said in a statement through a spokesman that on Thurday , it “discontinued” using services from Iovation. The company according to poker news resources, was linked to a 2008 online cheating scandal that brought down Ultimate Bet, which is not related to Ultimate Poker. Burnett said Iovation was not a registered service provider with Nevada but the company’s services were utilized by CAMS, an Nevada-approved service provider. The first-ever legal pay-to-play online poker website in the United States is expected to launch this morning when Station Casinos-owned Ultimate Poker flips the switch on a new era in Nevada gaming. 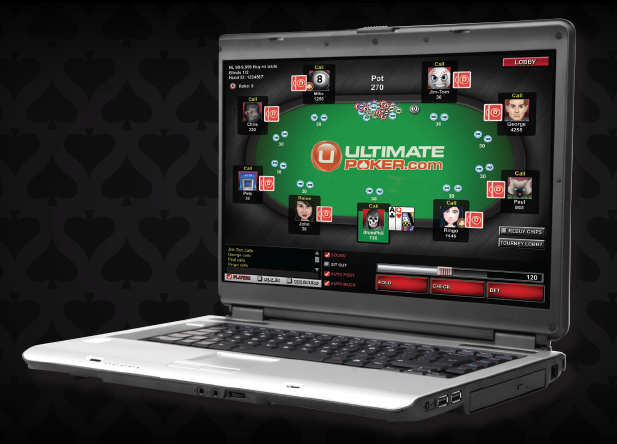 The site, UltimatePoker.com, can be accessed only on computers or mobile devices located in Nevada. State gaming authorities signed off of the company’s technology last week and allowed Ultimate Poker to move forward in what is considered a test period. Ultimate Poker was licensed for interactive gaming in October. The site is expected to go live at 9 a.m. with limit and no-limit Texas hold ’em poker through single-table cash games, sit-and-go events, and multi-table tournaments. The poker games will have buy-ins from a few cents to $100. Two high-profile incidents and the fast-approaching summer months led state gaming regulators and Las Vegas police to issue a stern warning Thursday to hotel-casino operators: Keep a close watch on your nightclubs and pool parties or face disciplinary action for any illegal activity. In a memorandum from Gaming Control Board Chairman A.G. Burnett and Clark County Sheriff Doug Gillespie, resort leaders were told they are responsible for any criminal conduct in their venues, even if a nightclub, ultra lounge or day club is operated by a third-party vendor. “Recent investigations have not only shown a lack of enforcement effort to curtail criminal activity on the part of patrons, but that venue staff have played an active role in condoning and/or facilitating the criminal activity,” Burnett and Gillespie wrote. In an interview, Burnett said last month’s shooting and ensuing multicar wreck on the Strip, which left three people dead, played a large role in the notice to gaming licensees. The grisly, pre-dawn shooting had its origins in a dispute at the Aria valet area. The Gaming Control Board spent almost two hours Wednesday delving into the background of European online gaming operator 888 Holdings, which is seeking an interactive Nevada gaming license. After recommending that Gibraltar-based 888 be approved the state’s 20th interactive license, the three control board members spent all of five minutes discussing Treasure Island’s request to hold the state’s 21st interactive license. “I don’t have any questions, unless you want me to make some up,” Control Board Chairman A.G. Burnett told Treasure Island attorney Frank Schreck. It took board member Shawn Reid longer to read the license conditions into the public record than it did to approve Treasure Island. Nevada’s top gaming regulator said Friday his agency was aware of changes Las Vegas Sands Corp. implemented to its compliance procedures and expected other companies, both inside and outside the gaming industry, would take similar steps. Las Vegas Sands, which operates casinos in Macau and Singapore, as well as The Venetian and Palazzo resorts on the Strip, halted the execution of international money transfers for its high-end customers, the Wall Street Journal reported Friday. The moves came as the casino operator faces scrutiny from U.S. and international regulators, people familiar with the matter told the newspaper. Las Vegas Sands and Wynn Resorts Ltd. are both being investigated by the U.S. Department of Justice for potential violations of the Foreign Corrupt Practices Act. 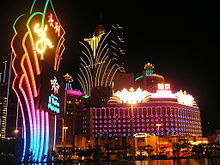 Fact-finding jaunt to China deemed "a complete success"
Nevada’s three Gaming Control Board members traveled to Macau [last] week in an effort to re-establish the relationship with their regulatory counterparts in the world’s largest gambling market. He said the relationship between Nevada regulators and Macau’s Gaming Inspection and Coordination Bureau – often referred to at the DICJ – had not been very strong in recent years. It’s not like A.G. Burnett has a huge learning curve in his new position as chairman of the Nevada Gaming Control Board. For more than a decade, Burnett, 43, played a behind-the-scenes but active role in many of the agency’s decisions and rulings concerning the industry. Burnett has offered legal advice and regulatory opinions on gaming company consolidation, federal antitrust issues, casino expansion into Macau other foreign markets, the emergence of private equity ownership, and advances in gaming technology. He spent nine years as deputy chief of the agency’s corporate securities division, four years as a deputy attorney general for gaming and nearly a year as a state gaming agent. In January 2011, Gov. Brian Sandoval appointed Burnett to become a member of the three-person control board. Sandoval elevated Burnett to chairman in November to replace outgoing chairman Mark Lipparelli. Burnett’s current term expires at the end of 2014. 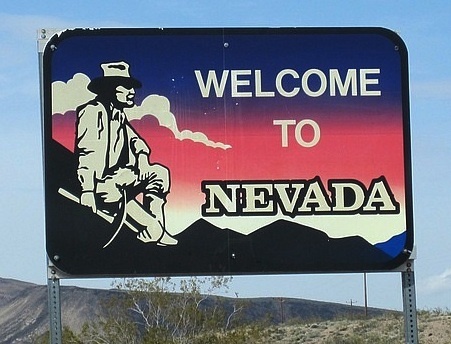 Nevada’s budding Internet poker market could eventually accept wagers from players in other states under a proposed legislative change in the Silver State’s interactive gambling regulations. 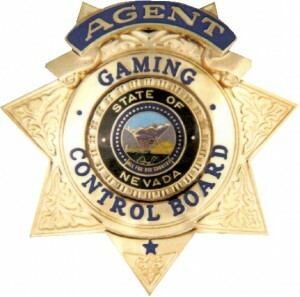 In a bill draft submitted to the Legislature, the Gaming Control Board wants to amend interactive gaming regulatory language that would allow Nevada’s governor to enter agreements with other states that legalize Internet poker. Conceivably, the interstate gaming compacts would allow Nevada-based Internet poker websites to accept bets from gamblers from states with similar interactive gaming laws, considerably growing the size of the potential player pool. Under Nevada’s interactive gaming regulations, websites in the state can accept wagers only from players gambling on computers or mobile devices within the state’s borders. Three more companies, including a subsidiary of MGM Resorts International, are a step closer to joining 13 other gaming companies participating in the Nevada’s growing online poker industry. The state’s Gaming Control Board on Thursday recommended licensure for MGM Online LLC, as well as boutique firms Z4Poker LLC of Las Vegas and Cams LLC of Los Angeles. The Nevada Gaming Commission will consider the applications at its Nov. 15 meeting. MGM Resorts told regulators it plans to establish a play-for-fun website by March. The company already operates myVegas, a social media gaming site with 350,000 monthly visitors. Nevada regulators charged with upholding "gold standard"
Gaming Control Board member A.G. Burnett was promoted to chairman of the panel Wednesday by Gov. Brian Sandoval. 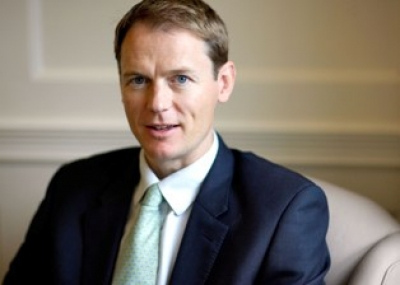 Burnett has been a member of the three-person regulatory body since January 2011. He was the deputy chief of the control board’s corporate securities division when Sandoval appointed him to the board. 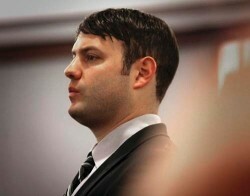 Burnett, 43, also served as a senior deputy attorney general in the gaming division. “A.G.’s experience on the Gaming Control Board combined with his strong working relationships with gaming regulators and securities regulators in countries such as Macau and Singapore will be an invaluable asset as the board moves into the next generation of gaming,” Sandoval said. On Monday, Sandoval appointed Terry Johnson, the current director of the Nevada Department of Business and Industry, as a member of the board, replacing outgoing chairman Mark Lipparelli, who stepped down in September.